The United States spends billions of dollars every year on military aid to foreign governments around the world to increase American influence. The US Army is creating permanent units dedicated to advising foreign forces. The Army personnel are more often engaged in training and building local security forces rather than doing the fighting for them. The service needs a dedicated element to focus on advisory role without interfering with the combat capability of fighting units. It is implementing the plans to create six new, permanent, fully-trained brigades that can be deployed around the world as professional advisers. Instead of having to other militaries, such as the Iraqi ground forces, the US Army can now turn to specialized advisory units, manned by experienced soldiers with special training. The objective is to avoid problems created by the current training programs when chunks of combat brigades have been deployed to serve as trainers and advisers to local forces degrading combat readiness. The current plan for special units of advisers seeks to keep brigade combat teams intact. In February, 2017, the US Army announced it would be standing up six security force assistance brigades (SFABs), unencumbered by alternative missions and designed to provide the Army with units specifically trained to work as military advisors. The first of six planned SFABs, as well as the Military Advisor Training Academy, is to be established this month at Fort Benning, Georgia. A SFAB will consist of 529 soldiers in the brigade, including 360 commissioned officers. Others are enlisted soldiers and non-commissioned officers. Each brigade will deploy elements ranging in size from 10 to 100 or more. All the brigades will be created by 2022. The advisors will receive cultural and language training to facilitate working with their partner forces. Experts in small unit tactics and maneuver warfare, they will have to be ready to endure hardships in harsh environments across the world. Members of the new brigades will go through a training course of six-to-eight weeks. Almost 200 will receive 16 weeks of intensive language instruction. Others will get an eight-week language course. SFABs, in concept, will deploy to the same region and build relationships and trust with foreign military partners. 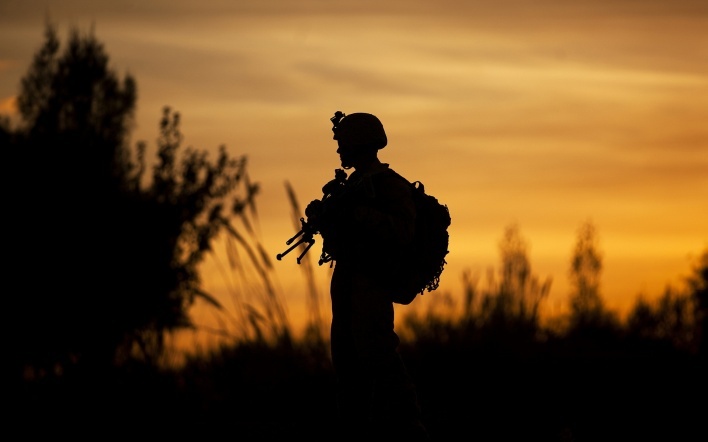 Americans will reduce their immediate involvement in conflicts preparing indigenous forces to be ready for combat missions. It’s important that the structure could be quickly expanded. When a conflict sparks, the US will have forces, including officers and enlisted personnel, in place. By adding soldiers, a brigade of 529 can be rapidly reinforced to the size of a full-fledged brigade combat team (roughly 4,000 men). SFABs will operate as a foreign policy tool. They will work with the US embassies in respective countries, and cooperate with subject matter experts from other agencies and organizations to advise and assist non-military security elements. As demonstrated during the missions in Afghanistan and Iraq, many advisor teams ended up training/advising/ assisting police and other non-military security forces as they are essential to overall security efforts. Soldiers will gain the ability to move comfortably among indigenous cultures to cement solid relationships. The brigades’ personnel will establish good personal relations with those they train. The US military training has long served as the cornerstone of important strategic relationships, enduring officer-to-officer connections. The US military has always insisted that international training is a relatively inexpensive way to create friends in defense establishments around the world. Spreading military assistance is all about building relationships with fellow militaries to support the US foreign policy goals. The defense and foreign policy establishment has always believed that enhanced relations between the US and other countries are closely related to the training of those who would occupy high positions in the military or state structures of their states. There are countries where there are more top military’s leaders with US training than regular military personnel. Providing training courses to other countries’ brass translates into improved communication with the United States and improved interoperability with allied and friendly states. Weapons sales are also believed to serve the interests of foreign policy, because it entails exchange for base rights, ports of call, use of airspace during emergencies and other opportunities. According to reports, “The US can use SFABs and SOF to shape outcomes of competition prior to full-scale conflict. Containment, mitigation, formal negotiated settlements, informal power-sharing, or elections and constitutional charters are all outcomes that may be sought without waging war.” It adds, “Along with advising allied forces, SFABs will provide partner armies institutional development, build partner capacity and enable local solutions to local challenges.” As one can see, the mission goes much farther than just military training. In Iraq, Afghanistan, Nigeria and elsewhere, the overall return on investment has been poor. In 2015, a $500 million Pentagon effort to train and equip Syrian rebels, slated to produce 15,000 fighters over three years, yielded just a few dozen before being scrapped. The 14-year effort in Afghanistan has resulted in an army filled with “ghost” soldiers, wracked by desertions. The Afghan security forces suffer setbacks and lose territory to Taliban fighters. The training of Iraqi army was a total failure. The US provides with security assistance and training Philippines forces, which could not defeat a few hundreds of extremists in the southern city of Marawi on Mindanao Island this summer. According to experts, training efforts in and military aid to those and other nations – from Mali to South Sudan, Libya to the Philippines – have been plagued by setbacks, fiascos, and failures. With the present training effort in place, the US introduces new elements to make it more effective. The focus is on spreading American influence among the people who can make it to the top in their respective countries and having combat ready forces on spot, which could be easily reinforced in emergency. Donald Trump vowed as a presidential candidate to reduce America’s military involvement in other countries. The creation of SFABs is another example to demonstrate that the administration is wasting no time in pushing for a bigger US military footprint abroad. Redrawing the Middle East borders: conspirology or real plan?